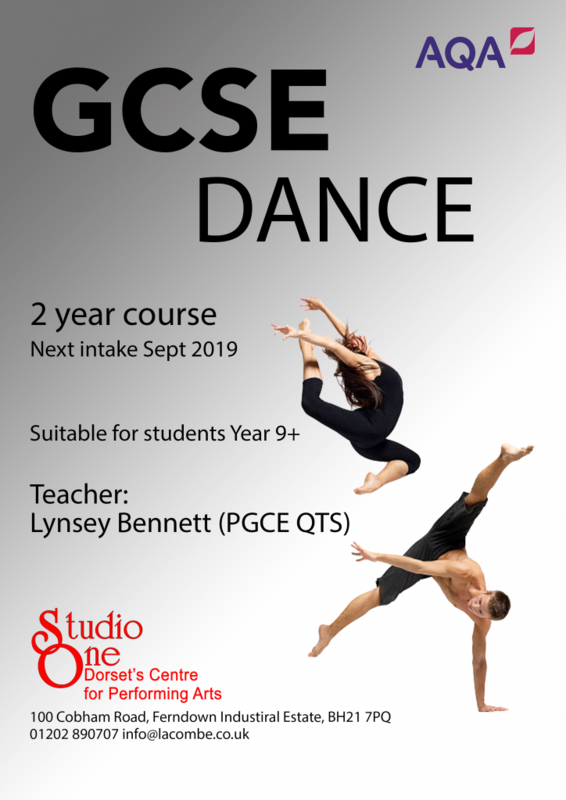 GCSE Dance helps students to develop technical and expressive skills as well as knowledge and understanding of dance through performance, choreography and critical appreciation. The course takes place over three hours every Saturday morning (during term time) and over two academic years. In the second year, an intensive rehearsal period is run during February half term, ahead of the practical moderations. Practical and written exams will be held between April and June in the second year. To apply to join our GCSE Dance course, you should be age 13+ and be in Year 9 or above by the start of the course. Some dance experience is required. If you would like to apply, you must complete and return the application pack which is available from the Studio One Reception. To request an application pack please call 01202 890707 or email info@lacombe.co.uk. All application forms will be reviewed by the Principal and you will be contacted if further information is required. Otherwise, you will receive a written confirmation of your place in due course.